Submitted by Sossity Gargiulo of Wild Hearts Hoof Care. 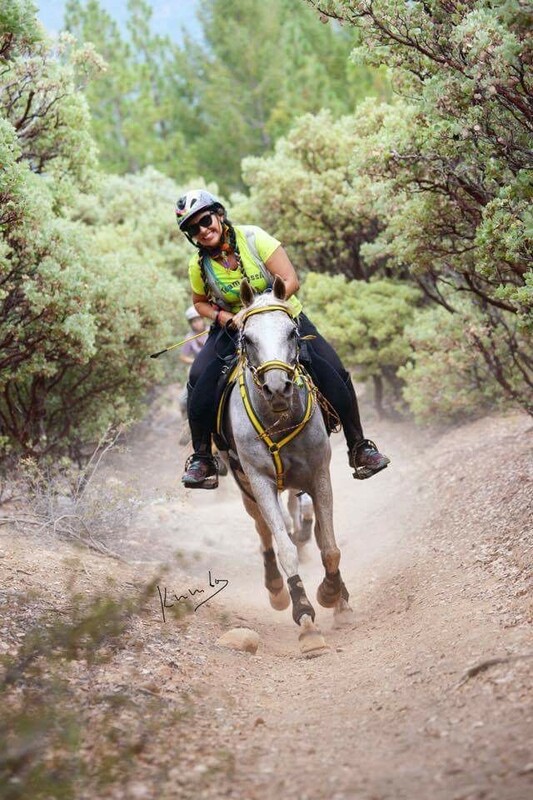 The Western States Trail Ride, more popularly known as the Tevis Cup, probably needs no introduction. 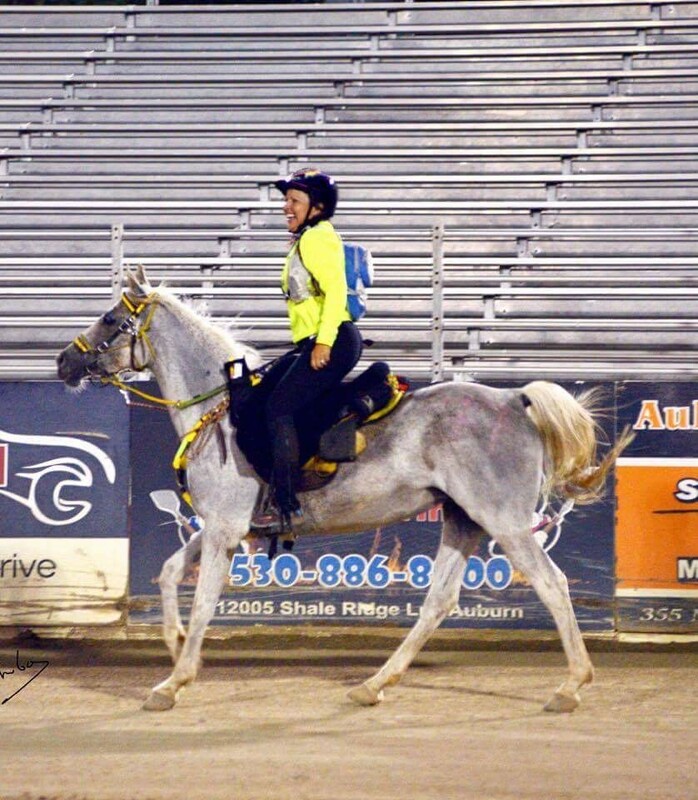 Being one of the top endurance competitions in the world, where 100 punishingly rugged miles are completed by qualified horses and their riders in a single 24 hour period. For mere mortals such as myself, I can really only imagine the time, effort, money, blood, sweat and tears that go into preparing and qualifying a horse for an event like this. However this year, as a hoof care practitioner, we were able to do Tevis Easyboot Glue-On shells for the first time! In the last few years since we began working with endurance rider Kristine Hartman, we have glued on for many 50’s, a couple 100’s and even a few back to back rides where our skills were tested for 150 miles in a set! But when it came to gluing for Tevis, in previous years we happily handed off our freshly trimmed, barefoot clients to the amazing skills of Easy Care’s Team Elite. This year the task fell to us and I would be lying if I said it didn’t add a bit of pressure to our application! EasyCare has an impressive record with the Tevis Cup. (To read the stats check out “Easyboot Success at the 2016 Tevis Cup- Statistics the Haters Won't Like!”) The Glue-On shell has served the horses well, providing cushion, traction and protection for 100 truly grueling miles of rocks, water crossings, roads, steep climbs, descents and MORE rocks! For Kristine Hartman and her Arabian mare Tess (Count on Tessie Flyin’) we wanted to be certain her mare’s footwear helped her continue her streak of completions and excellent placings. As luck would have it, the day we were scheduled to apply our Glue-On’s for Tess, we got a visit from none other than farrier Daisy Bicking. Daisy was a member of the 2016 Tevis Team Elite. It was a group affair as farrier Chris Beggs from Australia and Sarah and Jon Smedley of Trim & Trainwas were also in attendance! For endurance Glue-On prep, one of the steps we never miss is using the Hoof Buffy sand paper on the entire outer wall. This removes surface dirt and oils and the scratchy dry finish really helps grip the glue. We also put in shallow horizontal grooves into the wall with the side of the rasp, to provide additional grip – making the hoof wall groovy helps with glue traction as well. We like to heat fit all of our Glue-On’s, and our Tevis-bound Tess was no exception. Heating the boot and helping it shape to the hoof wall allows excellent surface contact with no gapping, which helps with overall retention. 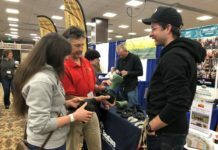 For more information about heat fitting take a look at Pete Van Rossum's blog, "Applying Easyboots Using the Heat Fitting Method." We additionally recommend holding the heated boot against the hoof wall as it cools, feeling for any small gaps and pressing the shell into them – this really assists the boot shaping process. An extra step we do is to drill in small “glue grommets”, little circles around the wall area of the boot, into all 4 shells. These allow the glue to ooze through and over the shell upon its application to the hoof, adding several other anchor points for our best chances at retention. Daisy assisted us with the Sikaflex 227 application, Team Elite style! The Sikaflex adhesive has an amazing 600% elongation memory, making it a wonderful stretchy soft cushion for use on the sole with the added benefit of it being adhesive. It is messy, slow setting business, so you use the much harder, quick setting Vettec Adhere for shoe retention on the walls, while the Sikaflex sole/frog application cures over about 24 hrs. Daisy’s application went perfectly, with Sikaflex oozing out the heel area in just the right amount that we knew the sole and frog were well cushioned. A bead of Adhere along the top lip of the shoe helps form a strong seal to the boot, and finishing that with the Hoof Buffer really blends it so that there is no hard edge to snap of. It blends the material together for a smooth transition that looks nice but most importantly resists removal. We also use the buffer all around the toes to soften the breakover point. This year’s Tevis included a new and difficult canyon, not to mention high humidity, hot temperatures, and even some rain! Kristine reports that it was her hardest Tevis of her nine so far! That is impressive in itself, but some of you may recall a rider that broke her arm at a fall during Tevis last year. A woman who actually went on to complete the race in an amazing 25th place, that was none other than our own brave, (and yes, crazy) duo Kristine and Tess! Despite the sweltering, steamy weather and extra challenging canyons this year, Kristine and Tess rode a great ride, and finished safely and soundly in 24th place! We are grateful for the opportunity to do Glue-On’s for Tevis and are so proud to have been a part of this team and their success! My husband Mario and I are a trimming team, and together we run Wild Hearts Hoof Care. We are both members of Pacific Hoof Care Practitioners and are American Hoof Association certified. 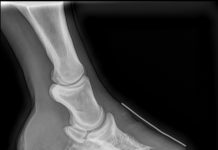 Our focus is on making positive changes in horse’s hooves through a holistic approach which includes diet and protection, with trimming goals specifically to optimize the hooves’ amazing natural ability. We utilize EasyCare hoof boots and glue on products extensively in our business.